The Maltese islands are an ideal setting for the perfect wedding & honeymoon. Rich in cultural heritage, soothing both to the eye and to the heart, the word 'romance' describes a thousand and one locations on the island. Malta, Gozo and Comino are blessed with sun and crystal-clear surrounding Mediterranean waters. Enjoy a wedding and honeymoon experience, mixed with luxurious relaxation and exciting thrill as one discovers many culture, art and natural treasures unique to the islands. Religious and civil ceremonies are available in Malta and legally recognized in Europe and North America. A Malta wedding probably costs less than one in your own country or in most other Mediterranean destinations. For one thing there is an absolute lack of red tape - all you need to complete at home is simple paperwork giving proof that you are single. English is also one of two national languages, so no official translations are required for the documents to be handed in or the marriage certificate given, and of course the ceremony itself can easily be in English. You can organise the wedding yourself or employ a professional wedding company, that abound on the island. 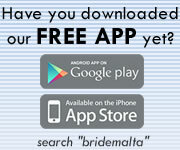 For a complete list, visit http://www.bridemalta.com and click on the 'Organizer' section. Wedding transport is pure luxury as you can choose between cars ranging from Beaufords to the latest BMWs to Mercedes Benz or the the more stylish and comfortable limousine. You may decide to travel by "karrozzin", the traditional flower-decorated, Maltese horse-drawn carriage. Or you opt to go by sea, leaving your waterfront reception by Maltese "luzzu" fishing boat! ... and your perfect Honeymoon! The Maltese islands offer a wide range of accommodation for your honeymoon requirements, varying from apartments, hotels, villas, and farmhouses. All the major chains (Hilton, Radisson, Intercontinental/Holiday Inn) have hotels on the island. Farmhouses are fully converted to provide modern, self-catering facilities with private pools set in secluded courtyards complemented by hotels offering you a full range of dining, sporting and social activities. Unless you plan to only spend time in the major towns, you will need a car. Car rental is inexpensive, so it doesn't really matter where you stay. For a complete list, visit http://www.bridemalta.com and click on the 'Cars' section. From the golden sandy beaches of Mellieha Bay to sheer Dingli Cliffs. 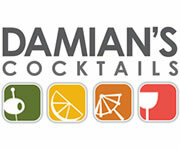 From the prehistoric temples of Ggantija, and medieval city of Mdina to the throbbing night-life of Paceville. All you seek for the perfect start to your life together is here, in the Maltese Islands.